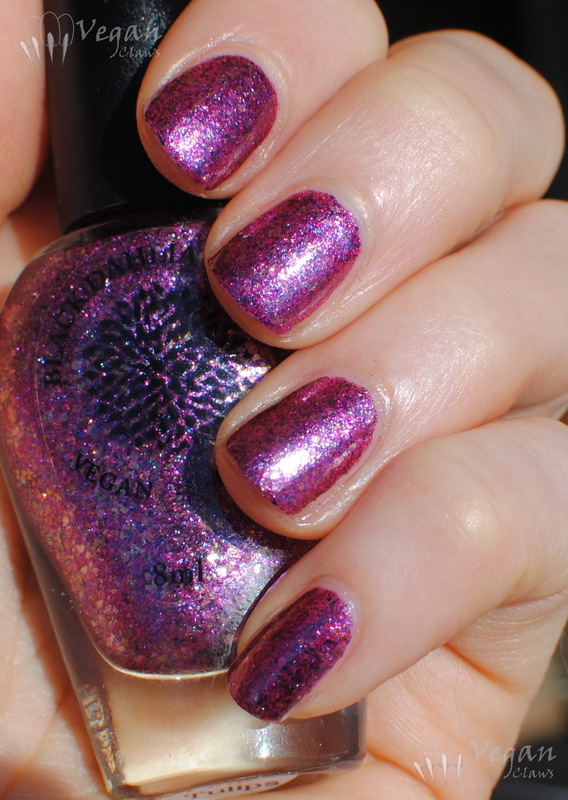 Northern Star Polish released We’re Not Worthy at the end of March as part of their third anniversary trio collection (with a Wayne’s World theme which very much pleases the early 90’s 14 year old I once was!). 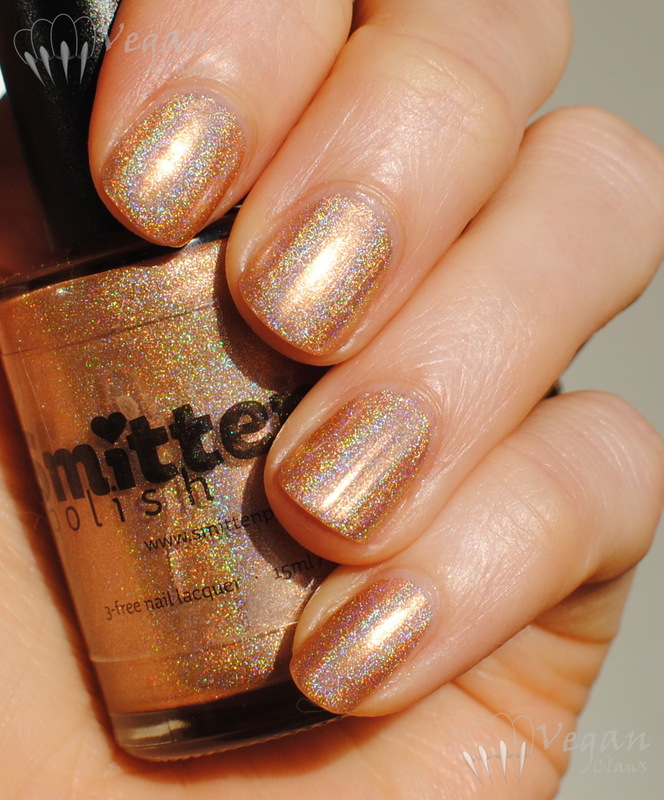 We’re Not Worthy has a yellow-toned beige creme base with gold shimmer flecks, holo particles, and pink and blue micro-flakies. When I first saw a swatch of this I knew I had to have it! It’s basically perfection in a bottle. 🙂 Shown in two coats plus topcoat. 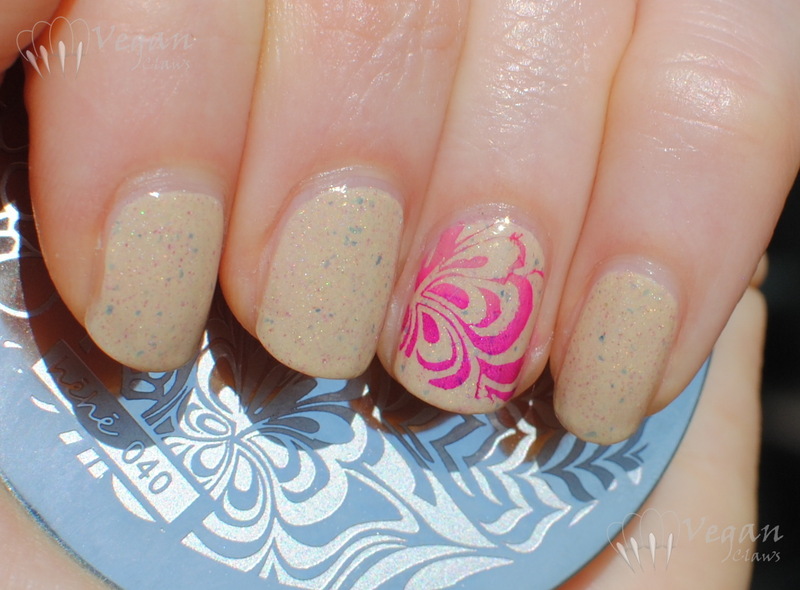 I tried adding a faux-watermarble stamped accent nail using Hehe plate Hehe040. Umm, kinda missed the nail tip, oops!! 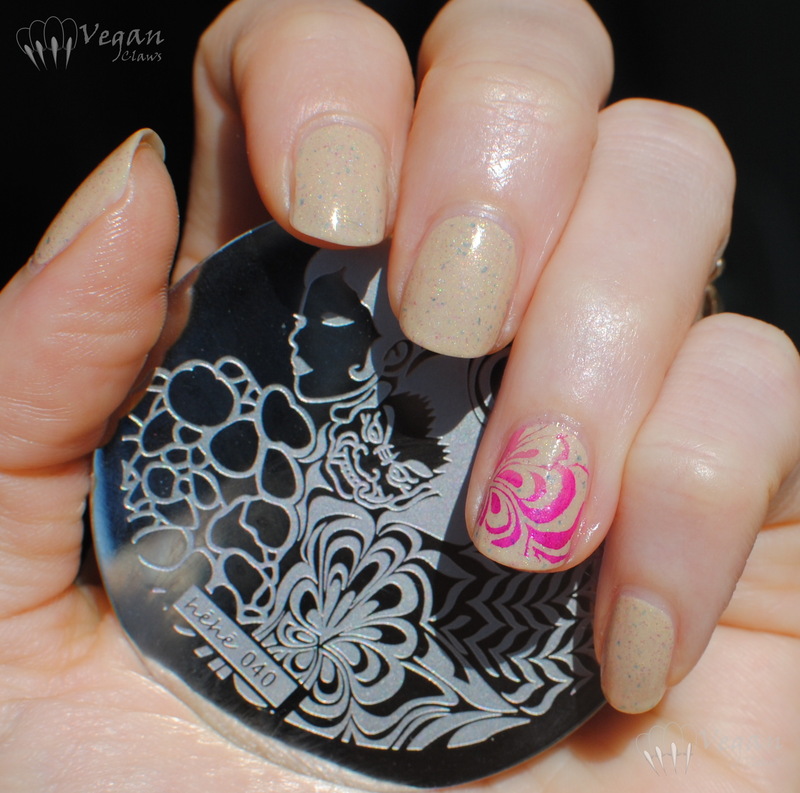 I used two polishes on different areas of the stamp before scraping, Kleancolor Pink (up near the cuticle) and Kleancolor Metallic Pink. Turns out Pink doesn’t stamp as well as Metallic Pink does! Well, I LOVE this polish even if my accent nail didn’t turn out quite as planned! Hot Pink Tulips was part of the New Year multichrome flakie duo by Black Dahlia Lacquer. 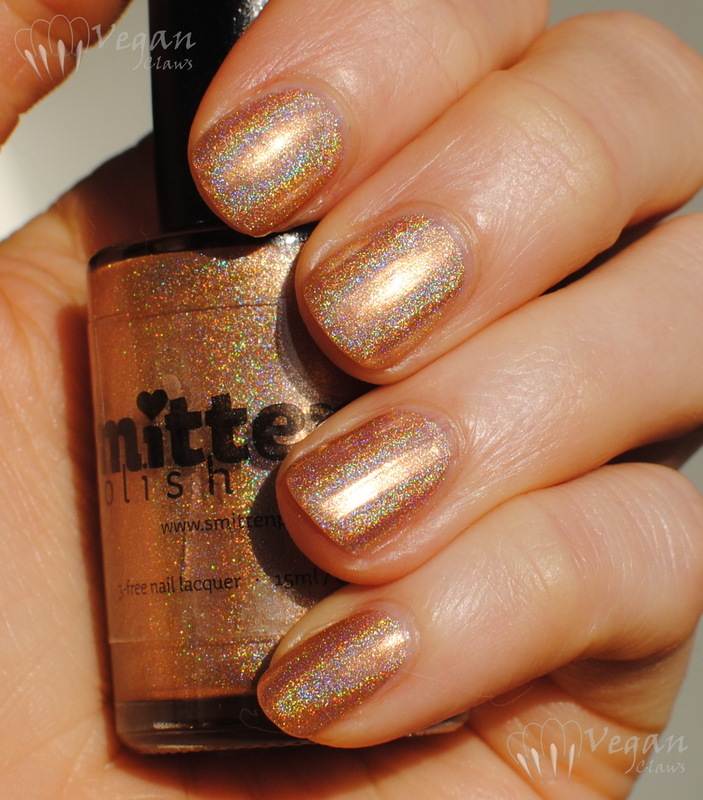 I also have the other polish in the duo, Lime Green Daisies, but haven’t worn that one yet! It’s got a lot of great stuff going on in it! Fuchsia pink multihrome flakies that shift to purple and blue, gold flakes, hot pink glass flecks, and probably more that I’m just having trouble distinguishing! 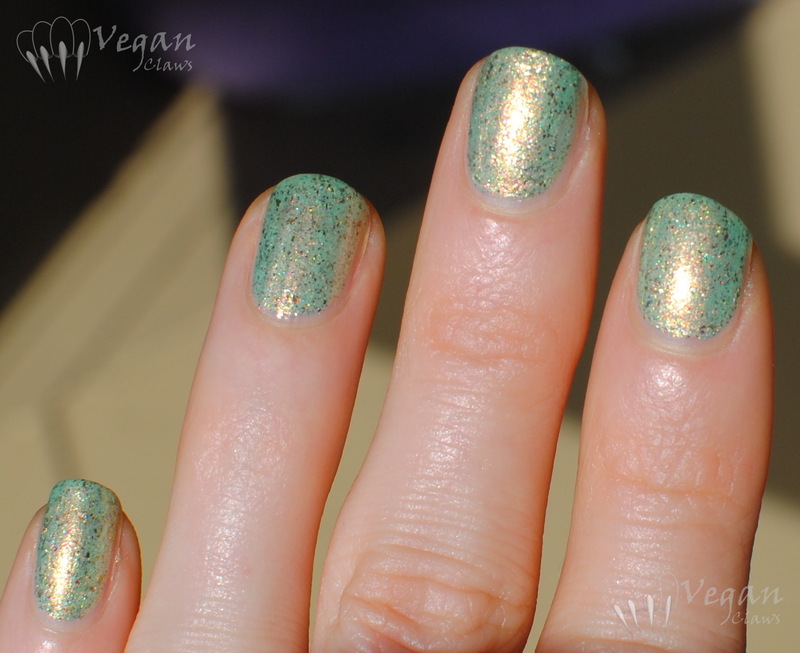 Completely opaque in two coats, which is what’s shown here (plus top coat). 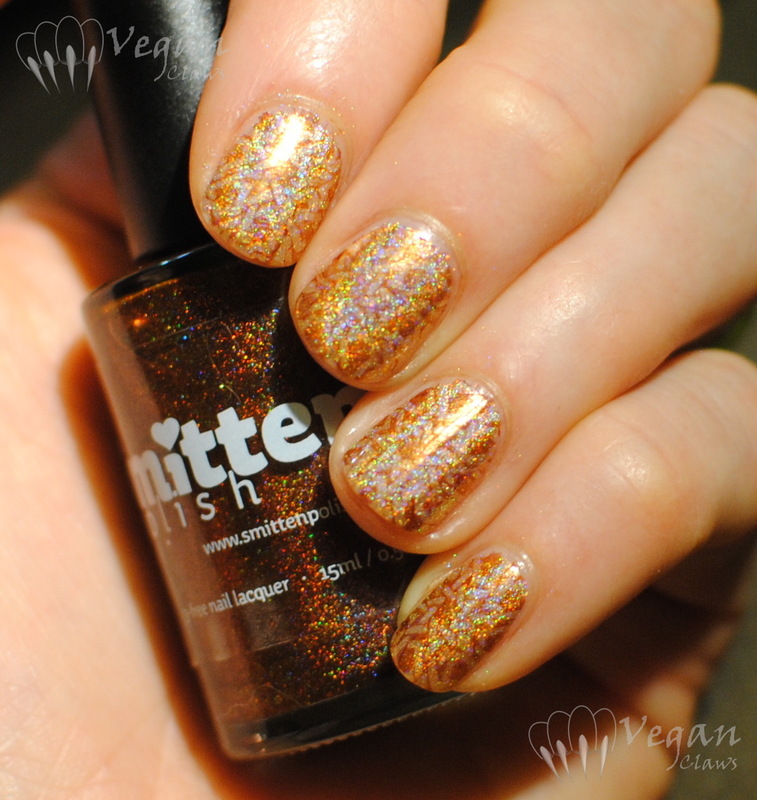 The finish is totally smooth and gives off an overall metallic look from all the chrome flakies.